It reminded me of the moment I first sat in my own car and drove alone around town. The Soup Dragons’ “I’m free” popped into my head, and I sang it to calm myself all the way home. 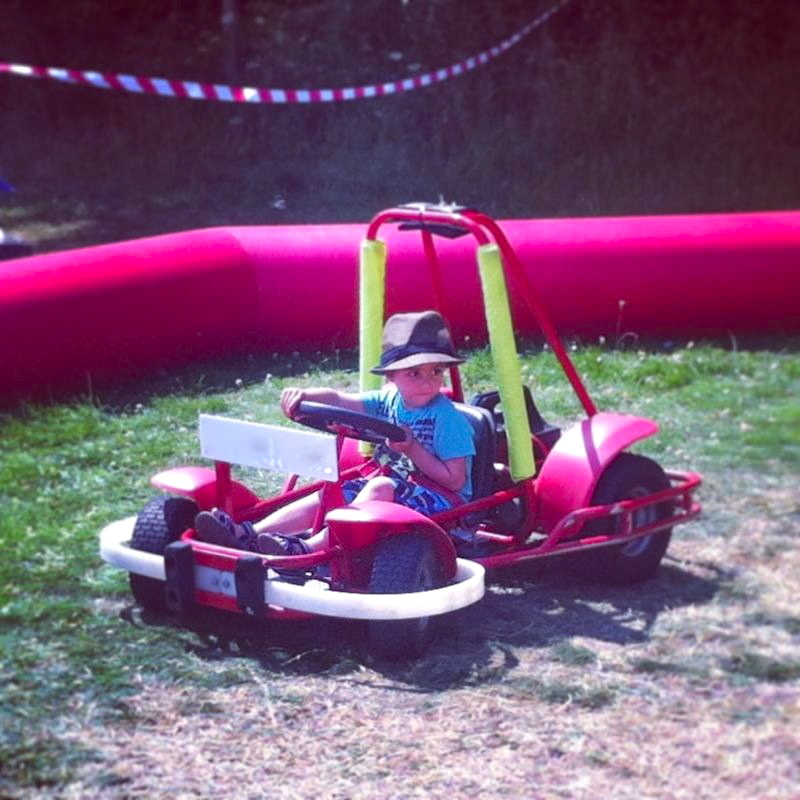 Watching BUB.1 drive his first Go Kart around a local village fair at the weekend I think made me the proudest I have ever been. Seeing his foot hit the pedal and the look on his face as he careered around the track, only barely keeping control but loving the thrill of trying. All that loud revving he does first thing in the morning, all those hours spent staring at his toy car wheels as they run back and forth along a windowsill, all the intense scrutiny of Grandad’s classic car magazines. You could see it all starting to make sense. This is real. It reminded me of the moment I first sat in my own car and drove alone around town. The Soup Dragons’ “I’m free” popped into my head, and I sang it to calm myself all the way home. Most of us remember the weird sensation of our first driving lesson, pushing that pedal and moving along the road. The real road! Get out of the way! I’m on the road! Those are the moments when life suddenly feels bigger. As BUB.1 whizzed around the track, Willy Wonka started singing “I’m free to do what I want, any old time…” under his breath next to me. Moments like that are pretty good too.